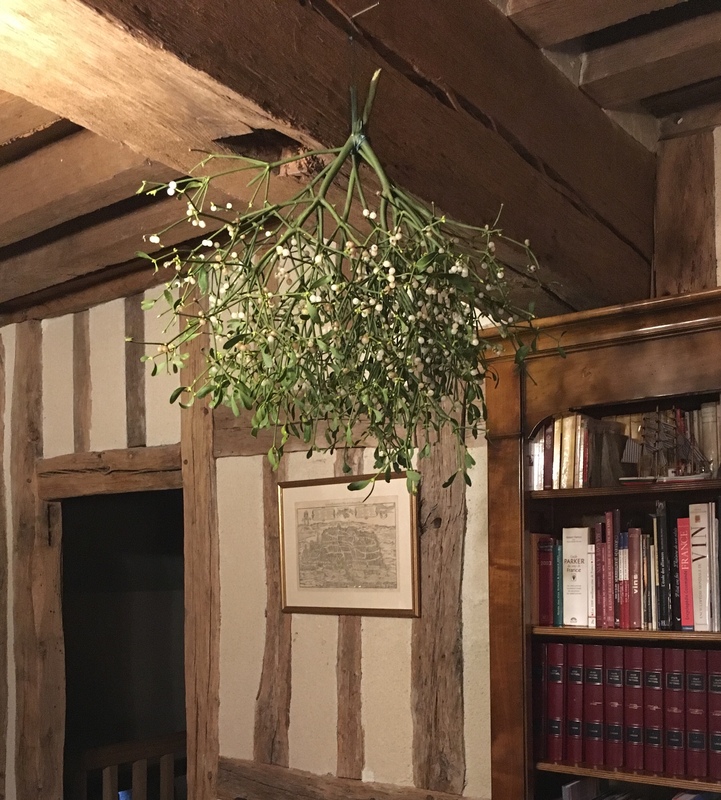 Today we hung up our mistletoe for New Year in France – in the English-speaking countries mistletoe is a Christmas tradition. Aujourd’hui nous avons suspendu notre gui pour le nouvel an tandis que dans les pays anglo-saxons c’est une tradition de Noël. One berry = one kiss.’ Yule’ have chapped lips. All the ‘berry’ best for the New Year. Well that is an interesting fact. I just love the room you have it hanging in. Health and happiness throughout 2018.